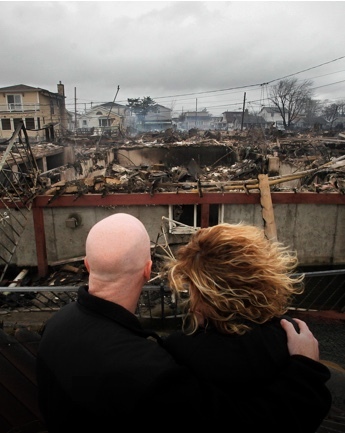 When Superstorm Sandy hit, lawyers from our Newark, New York and Philadelphia offices set up free legal clinics in storm-ravaged areas to assist storm victims with FEMA applications, SBA loan applications and general information pertaining to other Federal and State assistance. Over 150 residents of the towns of Moonachie and Little Ferry, NJ attended Buchanan Ingersoll & Rooney’s first Superstorm Sandy “Pop-Up” legal clinic. The pop-up clinics extended to Toms River, NJ, where lawyers from multiple offices provided pro bono legal assistance to the residents of South Jersey. Partnering with the New York City Mayor’s Office and the New York City Bar Association, Buchanan was able to conduct three more clinics in Rockaways, NY. Noted as one of the first firms in the New York and New Jersey area to provide pro bono assistance after hurricane Sandy, the New Jersey Journal highlighted Buchanan Ingersoll & Rooney for their assistance to hurricane victims.